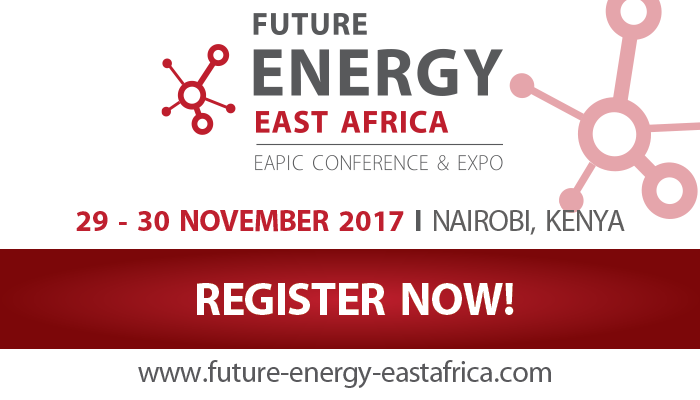 Future Energy East Africa has evolved from the East African Power Industry Convention (EAPIC). After years of close collaboration with utilities, governments, regulators, large power users, consultants and solution providers it has become the number one power conference and exhibition in East Africa and will take place from 29 – 30 November 2017 in Nairobi, Kenya. Over 45 suppliers from across the world will not only exhibit their latest technology and solutions but will be waiting to share their experience, case studies and best practices with you. There is no better place to be inspired by companies like Alstom-Grid, KPLC and Kengen, just to mention a few. A core theme at the 2016 edition of the East African Power Industry Convention was: “What does the future hold for the East Africa Energy Market?” This stirred a necessary discussion. It was decided that East Africa not only needs to address short term goals but to aim for longevity and sustainability. However, in order to look to the future, one has to adapt to an ever changing market- A market that is constantly evolving due to innovative technologies and mind-sets. The event boasts both a strategic conference and a large trade exhibition which provides a platform for public and private stakeholders to engage in discussions around the future of the East African energy sector, giving stakeholders the opportunity to benchmark their operations, challenges and achievements against their peers and seek suppliers who are looking to gain access to projects across the region. The event offers both dynamic round table discussions and dedicated technical workshops; with fringe events including investment breakfast briefings, Future Energy Leaders, CEO Forum, Women in Power luncheon, networking functions, off site visits to installations and a black tie industry awards function. Future Energy East Africa is the only event that can boast high-level delegations from ministries, utilities and regulators from across the region.